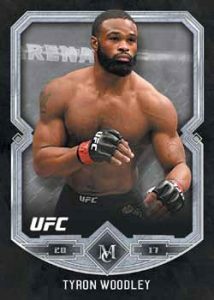 2017 Topps UFC Museum Collection - Checklist Added	Overall rating:	0	out of 5 based on 0	reviews. 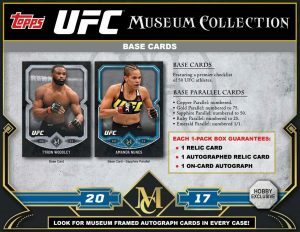 2017 Topps UFC Museum Collection is the high-end offering for the sport and is released in one pack form. 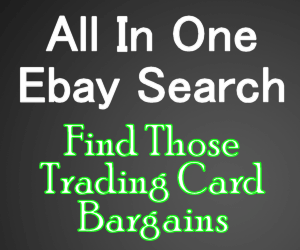 Possible hits include the popular Framed Autographs, and the Museum Memorabilia set. Fans can also expect to see short printed cards including 1 of 1s. 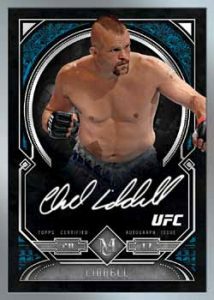 This is a must have set for fans of the popular combat sport.